In 2018, the downstream industries like the iron and steel industry or the photovoltaic industry were just lukewarm. Especially after the Spring Festival, players were cautious and the price fluctuations were limited. The average market price in H1, 2018 was RMB 1,562/mt, down 4.9% Y-O-Y. The market may continue the gentle trend in H2, 2018. On the supply side, supported by the positive prediction of iron and steel industry, the air separation units ran at high loads and provided abundant liquid Argon. Players were looking forward to the startup of the monocrystalline silicon units before. But after the release of the new policy on the photovoltaic industry on May 31, the silicon wafer prices decreased and the distributed photovoltaic industry was limited. All these factors affected the demand for liquid Argon, weighing on the market sentiments. In 2019, the gas industry will be still full of changes and challenges. The merger of Praxair and Linde Group faced challenges. The industries are waiting to see the new market pattern. The merger of China’s gas producers is on the way. Professional gas producers will expand market as producers in other industries tend to purchase gas from gas producers now instead of producing gas by themselves. China’s economy may continue to develop steadily in the future and the industrial gas industry will continue to develop quickly. SCI predicts that the air separation capacity will increase by 9%-10% annually in the next 5 years. With the release of related policies such as the iron and steel industry capacity reduction, air pollution control and new energy improvement, the demand for industrial gas will increase gradually. The gas prices may no longer be low and the price fluctuations will be more frequent, so speculative behavior will be more active. This report is based on the first-hand data of 14 years of investigation from SCI, the authoritative data published by National Bureau of Statistics, National Development and Reform Commission, General Administration of Customs and etc., and the industry data from domestic major suppliers, traders and downstream factories. Senior industry experts will make detailed review of China’s Argon market in 2014-2018 and forecast the Argon market using scientific analysis and data model. 1. 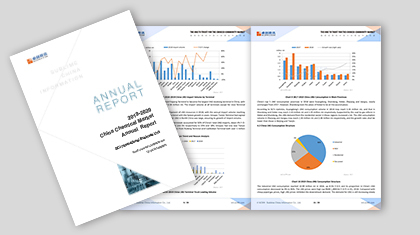 Report analyzes the supply and demand pattern of China’s industrial gas industry (especially the Argon industry), helping you to review the changes in China’s market. 2. Report presents China’s liquid Argon capacity and output in the last 5 years, helping you to clear the status of China’s producers. 3. Report analyzes the related industries of liquid Argon industry, helping you to understand the reason behind the market changes.